SMJO is an 18 piece Jazz Orchestra that draws together some of the finest musicians in the country to form one of the South West's leading professional Big Bands. SMJO brings together some of the UK's finest jazz musicians under the leadership of saxophonist Edward Leaker. The band was formed in 2010 and the audience response has been staggering with a string of sell out concerts each year since then. As well as performing many concerts in their own right, SMJO have featured a number of guest artists including Clare Teal, Claire Martin, Jason Rebello, Pee Wee Ellis, Mike Lovatt, Noel Langley and Duncan Lamont Snr. The band’s repertoire consists of big band favourites as played by the likes of Count Basie, Duke Ellington, Thad Jones, Buddy Rich and Sammy Nestico as well modern pop arrangements and latin jazz that will get you dancing in the aisles! The musicians’ collective experience is truly exceptional. Between them they have performed for some of the top musical groups in the country including: Piccadilly Dance Orchestra, Strictly Come Dancing Live Band, National Youth Jazz Orchestra (NYJO), Rat Pack National Touring Shows, BBC Big Band, RPO, LSO, Syd Lawrence Orchestra and literally hundreds of smaller bands. SMJO are officially supported by YAMAHA UK and the band are happy to be endorse their DXR and DXS sound systems. LISTEN TO CLIPS FROM THE ALBUM HERE! 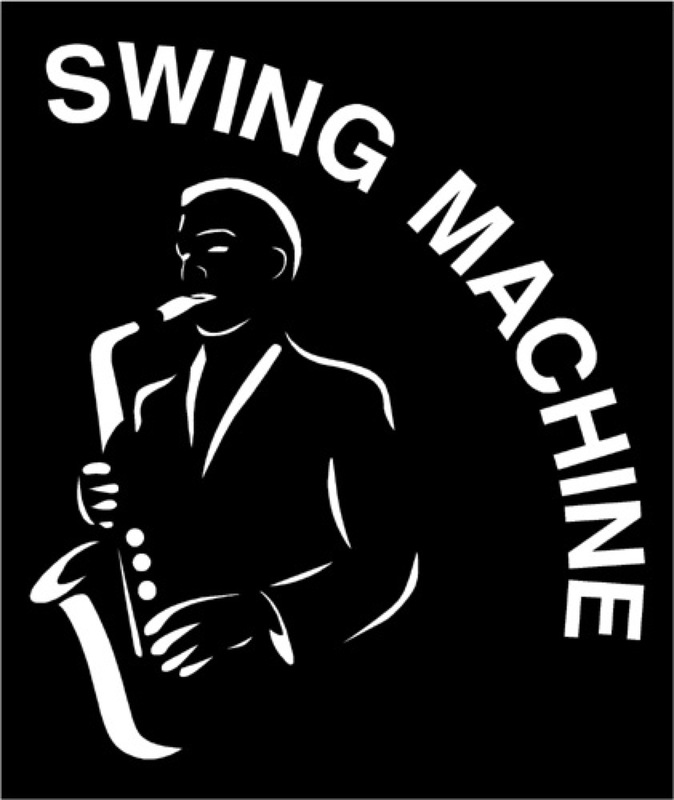 BOOK Swing Machine Jazz Orchestra for your Wedding, Party, Corporate Event, Festival Etc. Programme tailored to suit each individual event. Just click HERE to make an enquiry! "Your jazz orchestra is simply the best big band I have ever heard live: brilliant in all respects..."
"Ed! Just wanted to tell you asap that tonight's concert was totally tremendous, so glad we made it, Basie and Ellington eat your heart out!! Great bunch of musos, great arrangements and a truly unique experience, where today could you go to hear 16 great players and the glorious talent that is Heather? Nowhere! Very special, the folks next to us had been before and thought this was even better...."
"I have been meaning to contact you since coming to the big band gig you gave at Wedmore opera festival last year. Wow, what an evening! ...I am originally from Surrey and used to go to events at Fairfield halls, Festival Hall, Royal Albert hall, Hammersmith Odeon, plus many jazz and blues clubs. I have seen the best - Duke Ellington, Count Basie, Buddy Rich, Muddy Waters, Buddy Guy, Jimmy Smith, Oscar Peterson, Earl Hines, Chris Barber, Humph, Buck Clayton, Howling Wolf, Sonny Boy Williamson and...... I CAN HAPPILY PUT YOU AND YOUR BAND IN THE MIDDLE OF THAT LOT!!!" "It was very satisfying to hear a west country based big band that is as good as any of the big name touring bands we see on the circuit... I have to congratulate you on your leadership. I hope that you won't think this as patronising, but to firstly want to take on such responsibility at a comparatively young age speaks a great deal about you. You obviously command the respect of all your musicians and your gentle and appropriate sense of humour makes a comfortable bridge between band and audience. Not all band leader have that quality...."
"Fantastic performance tonight. We loved it all..."